private collection, UK; private collection, Australia. 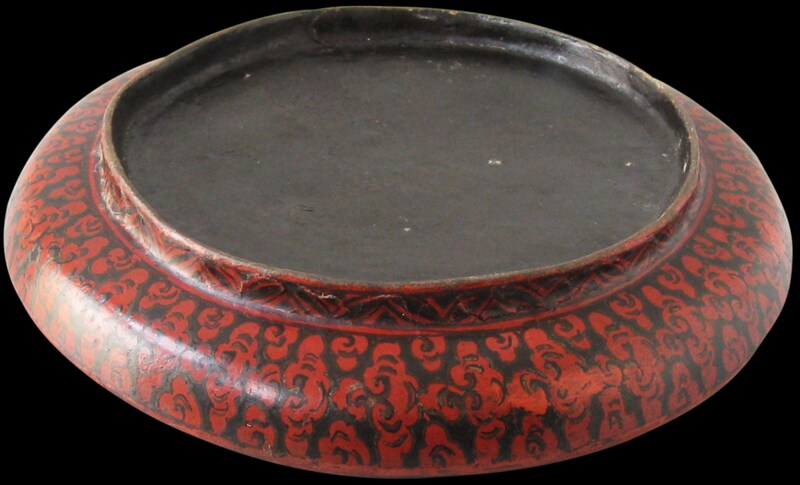 Painted dishes from Tibet such as this example are highly unusual. 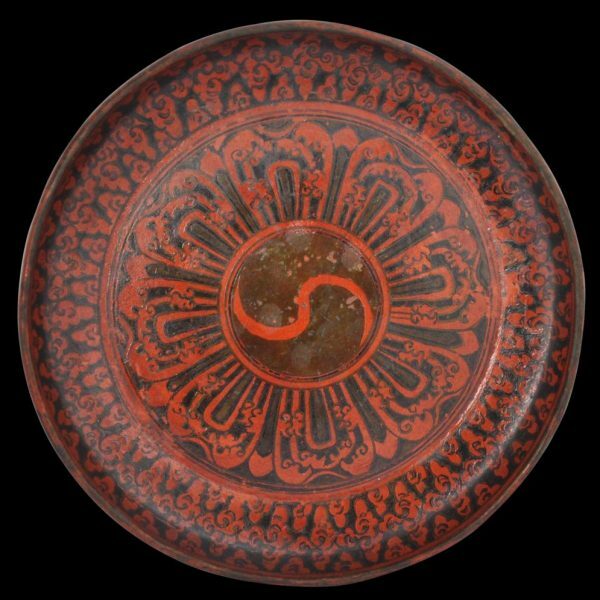 It comprises red, brown and black colours, with varnish, over a leather base. It has a rising sides and a raised ring-mat foot. The design is floral but loosely based on the Tibetan wheel of dhama – the wheel is a symbol of the Buddhist teaching relating to the Four Noble Truths and the Transcendent Wisdom teaching of absolute selflessness and the Idealist teaching of discrimination between existence and non-existence. The centre has a double yin-yang pattern, which stands for wisdom and compassion. The lotus flower that surrounds the central yin-yang roundel has eight petals. These stand for the branches of the eightfold noble path: realistic view, intention, speech, livelihood, action, effort, mindfulness and meditation. 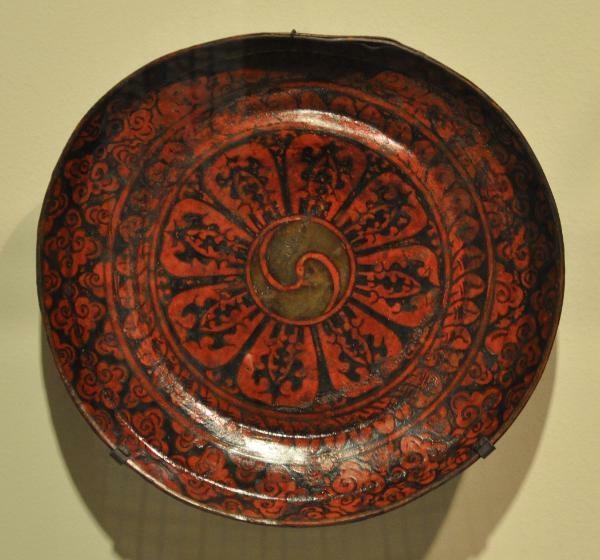 Possibly such a dish would have served as an altar dish. 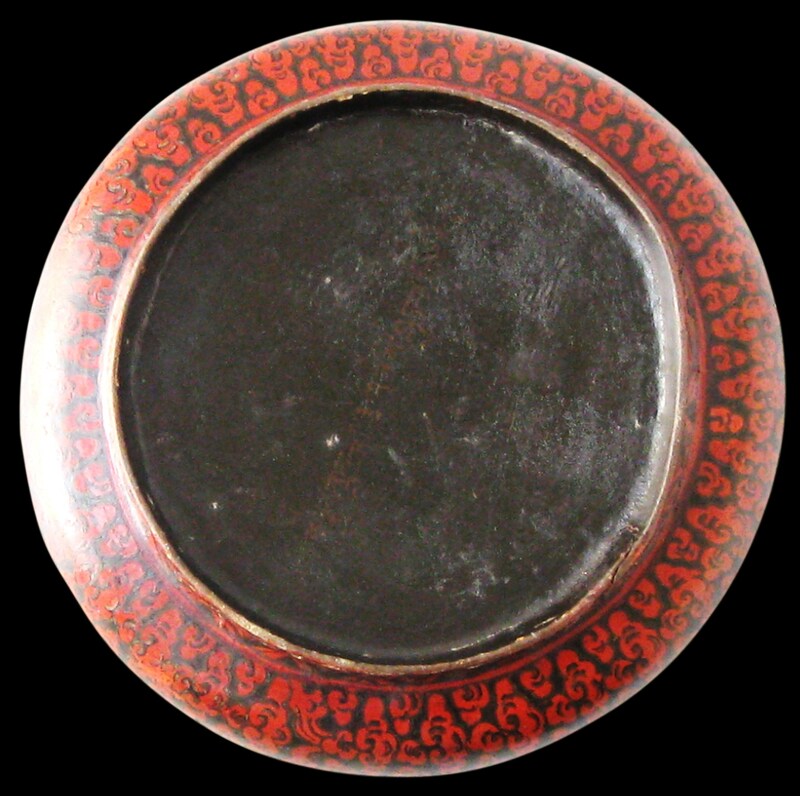 The reverse of the plate has in Tibetan dbu Med script an inscription which has been translated as ‘This object was offered to the residence of Lhundup Tagtse by the steward’. 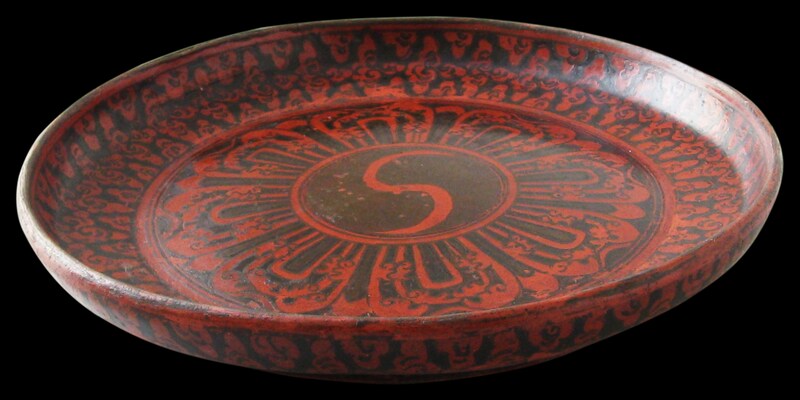 The plate is in excellent condition for its age. There are no significant chips, cracks or losses and no repairs. The inscription on the reverse is shown in the second-to-last image. The related example in the Newark Museum is shown in the last image. Thurman, R., & D. Weldon, Sacred Symbols: The Ritual Art of Tibet, Sotheby’s/Rossi & Rossi, 1999.